Some users asked us about the jitter on the Raspberry Pi data lines. The impact of jitter in digital sound transmissions is a controversial topic. But we decided to give you the choice of having an ultra-low-jitter clock for the HiFiBerry DAC+, so we developed the new DAC+ Pro. It comes with its own dual-domain clock circuit, which provides 2 separate clocks for 44.1/88.2/176.4 and 48/96/192kHz sample rates. To provide optimal connections, the board also uses fully gold-plated connectors. It took us a while to find a manufacturer who could provide these. You might be thinking, “That shouldn’t be so hard?” But unfortunately, almost all on-board RCA connectors on the market are only gold-plated on the outer contact, not the inner one. They look like this. For us, this is cheating. So we’re using connectors that are manufactured specifically for us and are fully gold-plated. This board is also the most hackable HiFiBerry DAC+. 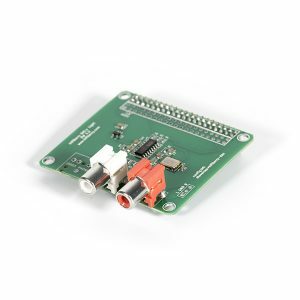 If you want to power the analog part of the DAC+ separately from the Raspberry Pi, now you can. You can also use it as a clock generator for an external I2S DAC. Note that these features are designed for experienced audio hackers. They need modifications on the board and will void the warranty. But this is something many hackers are used to. The new onboard clock generator needs an updated driver. We’re working on this and expect the updated driver to be released soon. While the board also works with the existing DAC+ drivers, the onboard clock generator works only with the new driver. While we think the DAC+ provides really good value for the money, we designed the DAC+ Light for people who don’t need all of the features of the DAC+. 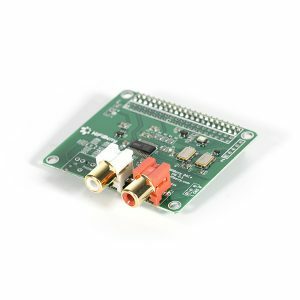 The DAC+ Light uses a different DAC chip (from ESS instead of a Burr-Brown model), which allows us to offer you an even more affordable DAC for your Raspberry Pi. It lacks some features of the DAC+: It has no integrated EEPROM (which is no problem at all) or integrated volume control. To control the volume, you need to connect it to an amplifier with integrated volume control or use so-called software volume control. The latter option is supported in many—but not all—applications. These new boards do not replace the existing HiFiBerry DAC+. They are designed for people who don’t need all of its features and want a cheaper board (the DAC+ Light) or want an ultra-low-jitter clock and more tuning options (the DAC+ Pro).